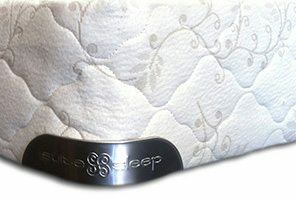 The natural dunlop rubber is all natural made from 100% natural rubber. 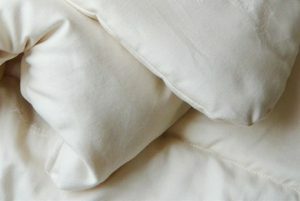 The cotton is certified organic. 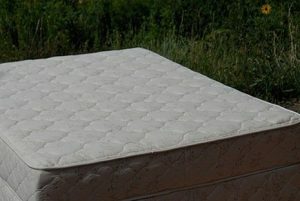 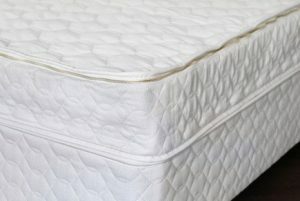 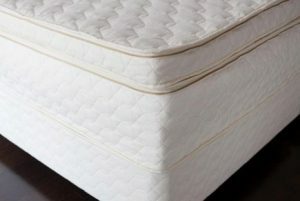 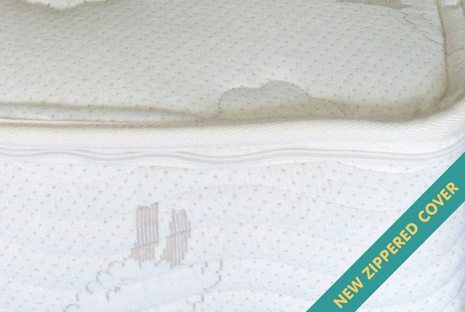 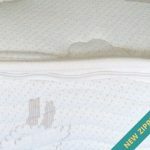 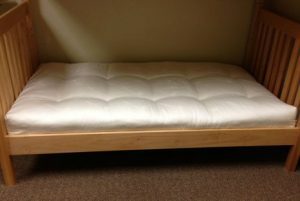 Absolutely no added chemicals or flame retardants are used in this mattress. 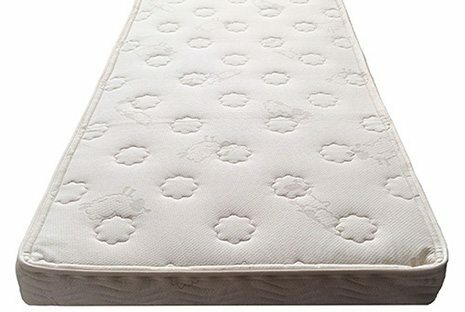 This is a perfect stand-alone kid’s mattress. 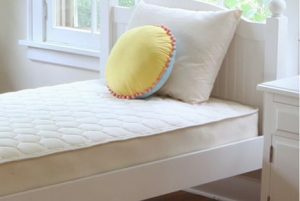 Or, as part of the “Grow With Me” system, the Little Lamb mattress is the fundamental building block. 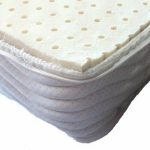 Additional components can be added to the mattress on occasions when a growing child requires a softer feel for more comfort. 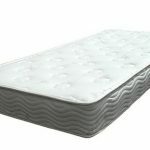 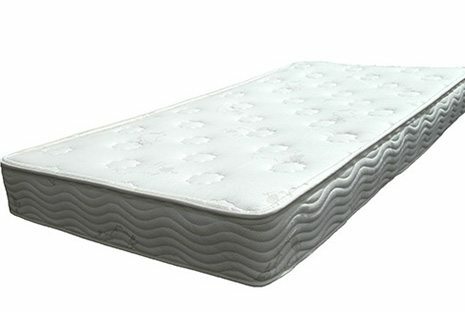 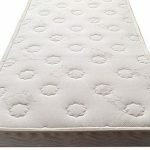 This 6 inch mattress is sufficient for a child up to 150 pounds. 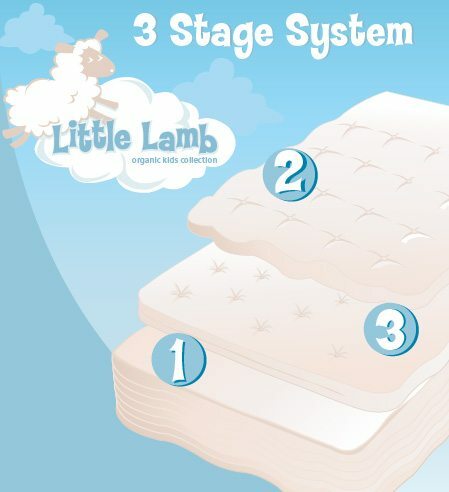 This Little Lamb Mattress is the first step in the three stage system just for kids. 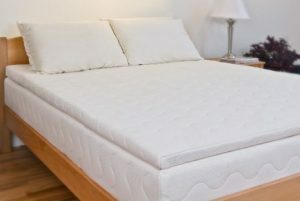 This latex mattress is the medium-firm base layer. 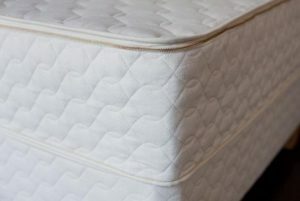 Each subsequent layer is added as the child grows and can be purchased as a complete system, or separately as needed. 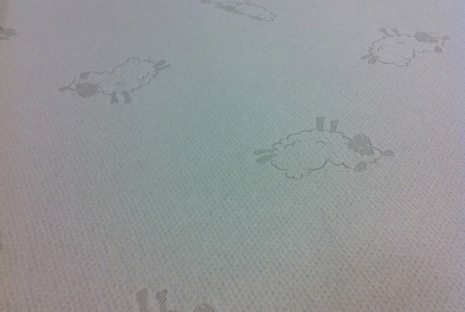 The Little Lamb Wool Topper is the second layer in the three stage program. 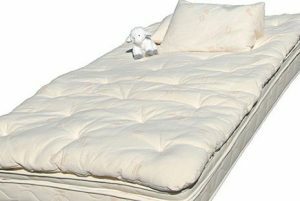 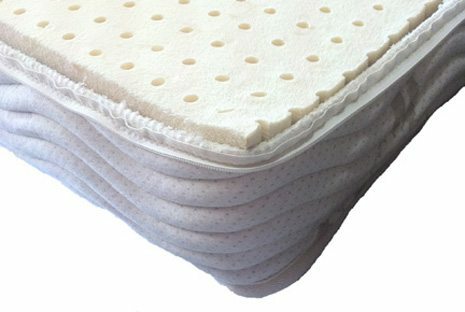 The topper can be placed on the Little Lamb Mattress for children who desire a soft enveloping feel.